Hope you're all enjoying your weekend! Since I've decided to participate in no buy November I find myself doing a lot of online browsing, and its absolute torture. However I have been on the hunt for some jewelry piece to add to my collection. Seeing that the only jewelry I do wear is my nose ring and well I think its time I broaden my horizons. So here are a couple piece I'm loving. 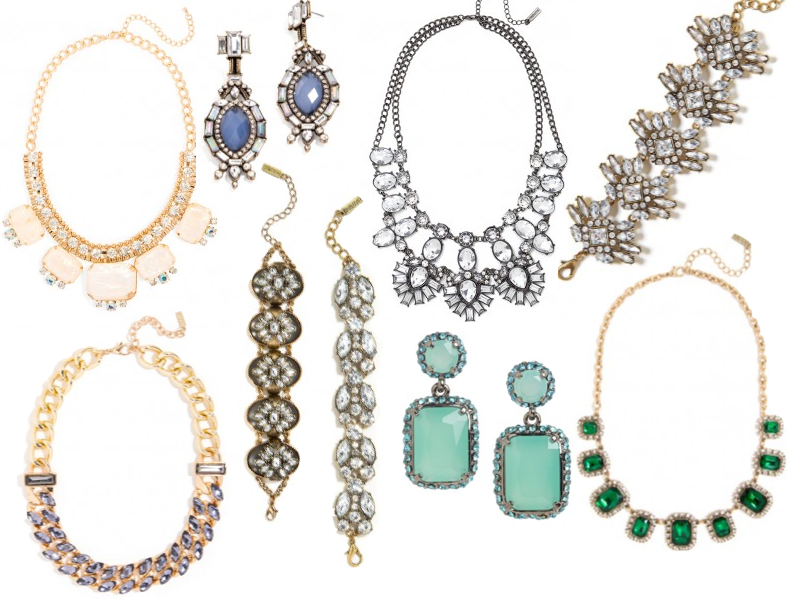 *Also Bauble Bar is giving away a free necklace with your first purchase till November 17, 2013. 4 comments on "Bauble Bar Wish List!" I love all of those pieces! I love number 3 the most! I might be doing post inspired by this post! Thank you for inspiring me! Number 3 I think is my favorite as well, and so glad you were able to find inspiration from this post! Thank you so much!!! You're so very sweet!